It's not uncommon for the first few games of One Night to start the day phase with people looking at each other, wondering what to say. To get things started, you might want to offer a limited amount of information, such as "I'm the Seer but I'm not going to say what I looked at... yet", or "I started as the Robber, but I exchanged someone's card...once some other people start talking I'll tell you whose it is". 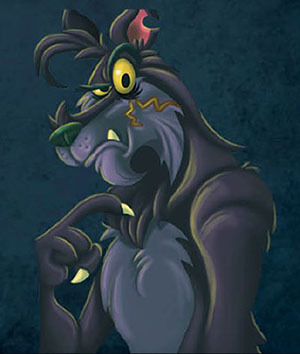 Knowing how all the roles in the game work is really important if you're a Werewolf, as you'll have to lie initially about who you are and what you did (if anything). It's easy to lie and say you are a Villager, but it's often more effective to boldly claim to be another role before the "real" owner does; there's a chance that role is a center card, and if it isn't, the "real" owner of that role may have a hard time convincing other players what he is, since you claimed the role first. Villager card from some one may get everyone to believe you (if the player you stole from verifies he was indeed a Villager to start with), but if the Troublemaker switched your card with a Werewolf, you'll be voted out easily, with no credible defense available to you. 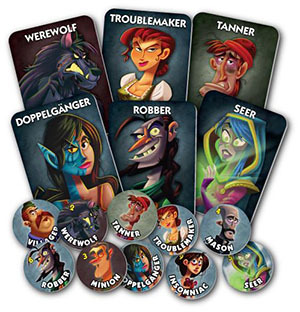 Instead, waiting just a little bit to learn if your card was indeed switched by the Troublemaker would give you the opportunity to lie and say you started as a Werewolf, and now the person you were switched with is a Werewolf (even if the opposite is true). The more that you play One Night, the more fun it will be to devise a web of lies and simultaneously unravel the truth. As your ability to deceive and figure things out increases, so will the abilities of other players, making each game more and more interesting. And when roles are changed between games, you'll discover that your strategies will evolve even further. With larger groups, you'll need a bit more time for daytime discussion than with smaller groups. After a few plays consider using a timer; when the timer goes off, everyone must vote. This adds a sense of urgency to the discussions, and will result in less non-relevant conversations during the day. Playing with higher player numbers (7+) can make it difficult for everyone to reach the middle of the table. Standing at the table during the Night phase can make reaching easier, and using a smaller table can also help. If you have to use a long "banquet" table, try to position the players on the long sides of it, and not the ends. As the Announcer, place any tokens with numbers on them near you in ascending order, and open your eyes in between roles if you need to check the night wake order. Otherwise keep your eyes closed during the night. You may want to tap on the table during the night to mask any sounds made by players when they are looking at and moving cards. If you call your own role, don't speak while performing your action. When introducing players to the game for the first time, or introducing new roles, be sure to pause during the "action" section of each role you call to give players enough time to decide what to do and to complete their action.